The issue will be discussed at a meeting with the prime minister. The Ministry of Economic Development and Trade has suspended its earlier decision to resubordinate Ukrtranshaz, a national gas transport company. "In making this decision, we have not had adequate consultations, but those are technical and, to an extent, political issues. In this regard, I as a minister have suspended the decision. Today, the prime minister will hold a meeting with the participation of all stakeholders, and we will discuss our policies in substance and form," minister Stepan Kubiv told the parliamentary agenda-setting council on 19 September. Kubiv added that the ministry would still insist that Naftohaz Ukrayiny and Ukrtranshaz should be separated in line with the requirements of the so-called Third Energy Package. 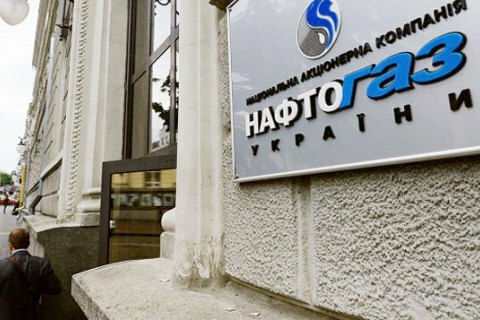 The Ministry of Economic Development on 7 September changed the charter of the national oil and gas company Naftohaz Ukrayiny, overtaking control over its subsidiary, the gas transport company Ukrtranshaz. According to the amendments, the ministry will appoint and dismiss the chairman and members of the supervisory board and the management board of Ukrtranshaz. In addition the ministry seeks to strip the Naftohaz Ukrayiny board of the right to make changes to the charter of Ukrtranshaz and approve its financial plan and investment programme. Naftohaz Ukrayiny, the European Bank for Reconstruction and Development, the Energy Community secretariat have criticised this move. In a statement, the Secretariat of the Energy Community, which oversees the implementation of energy agreements across the EU and neighbouring countries, warned Ukraine’s “unilateral move” violated rules by placing both Naftohaz and Ukrtranshaz under control of the Economic Development Ministry. “The secretariat calls upon the Ukrainian authorities to fully and swiftly implement the resolution on unbundling, and follow OECD guidelines on the corporate governance of state-owned enterprises, as agreed also with international donors,” the organisation said.